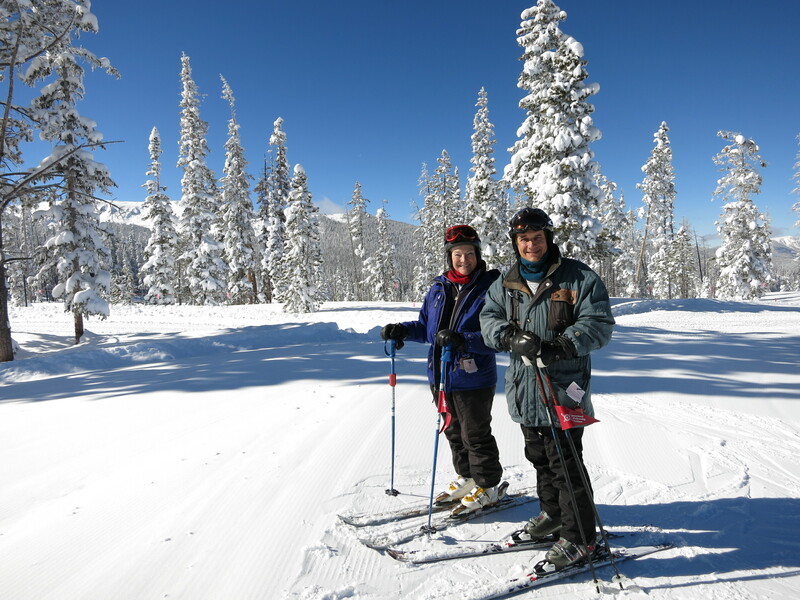 This January, the “best in a decade” snow came just in time for our annual International Skiing Fellowship of Rotarian’s North American gathering in Winter Park, Colorado, USA. The area, which received around 4 feet of fresh powder just before our arrival, would continue to bless us with more fresh powder throughout week. What a great ski week it was! At the top of Zephyr lift, in the gorgeous Sunspot Lodge we held our joint meeting with the local Winter Park/Fraser Rotary Club. 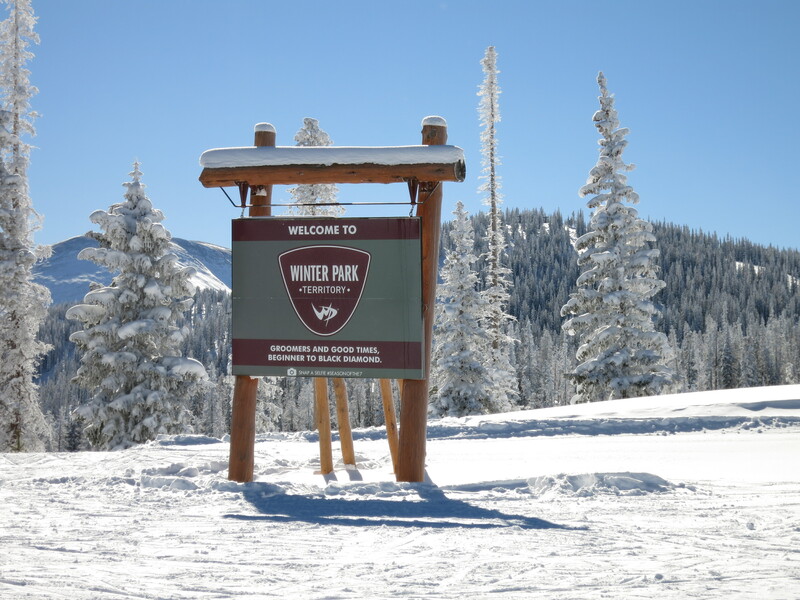 There the Managing Director of Winter Park Resort told us about the history of the resort, its plans for the future and the National Sports Center for the Disabled (NSCD), arguably the oldest and largest such program around. During our time on the mountain we saw many “Adaptive Skiers” on our runs, usually going a lot faster than we were in their “sit-skis.” At the end of the week we were more than proud to present NSCD with a check from our Fellowship’s Davis Boyd Memorial Foundation, which supports local adaptive ski programs and provides scholarships for training adaptive ski instructors for $15,000. Our Fellowship’s work in 2014 is just beginning, however, and we are extremely proud to continue supporting other adaptive ski programs around the world. One of our latest partnerships is a supporting grant of $10,000 USD to the Disabled Winter Sport Australia (DWA) and Mt Beauty Rotary Club from Victoria, Australia. The funds provide the seed capital necessary for the establishment of the Rotarian Regional Adaptive Snowsportprogram thatwill establish a local active volunteering network of Rotarians who will be trained as adaptive guides to support and promote the participation insnowsports for those with a disability. Attending this training course will be a group of volunteer Rotarians who, upon the successful completion the course, will become accredited Adaptive Snowsport Guides. From then on the newly qualified guides will have the opportunity to support skiers and riders with a disability on DWA camps and programs during 2014 winter in local Australian resorts. 2 days on snow training delivered in accordance with the nationally recognized curriculum of adaptive snowsport guide training in Australia. With the success of this program in 2014, we hope to further expand and train Rotarians from other areas close to the snow in both Victoria and NSW for future seasons. Both Disabled Winter Sport Australia and the Mt Beauty Rotary Club thank the ISFR for supporting what we hope will be a long relationship help to enable Australians with a disability participate in snowsports and further link our communities together. The International Skiing Fellowship of Rotarians (ISFR) was founded in the early 1970s as a social fellowship of Rotary International. Each year ISFR members travel to a different ski resort in North America for a week of skiing, fun and fellowship, and to create awareness of Rotary International. Visit www.isfrski.org for more information. MY NAME IS JOHN PELLETIER. I AM A FALL RIVER ,MA ,USA ROTARIAN AND I AM A DISABLED SKIER. I SKI WITH THE MAINE ADAPTIVE SPORTS PROGRAM. I CAN HONESTLY TELL YOU MONOSKIING HAS CHANGED MY LIFE. THANK YOU FOR SUPPORTING ADAPTIVE SPORTS. IT MAKES ME PROUD TO BE A ROTARIAN.